The 9th International Entrepreneurship summit was conducted at the IIM Calcutta campus on 6 February 2016. The session was inaugurated by Biju Paul Abraham , Dean – Academic, IIM Calcutta. 500+ students and entrepreneurs from the local region attended the event. 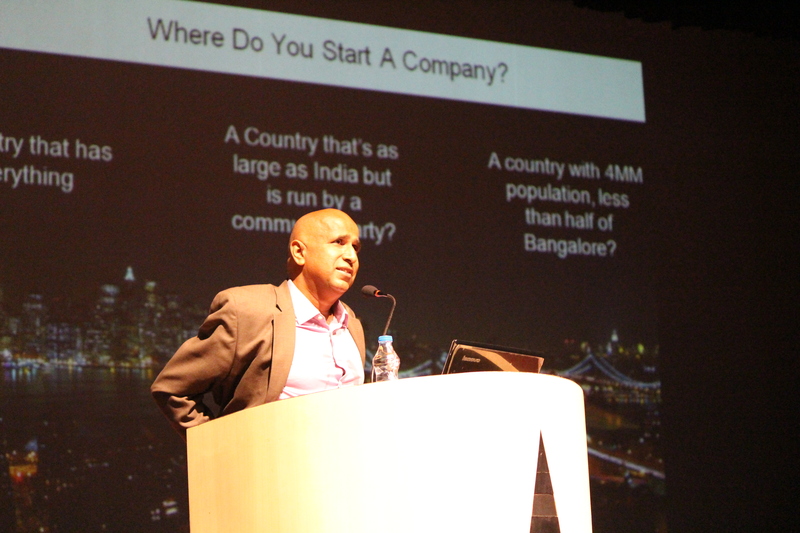 Mr Krishnan Ganesh was the key note speaker of the day. He inspired the audience by sharing his journey about he achieved success even after many failures. Then followed the panel discussion with 3 entrepreneurs – Mr Kallol Banerjee (Fasoos), Somenath Mukherjee from Bengal Speech and Hearing and Mr Mani Vajipaiyee from Banyan Nation, where each of the entrepreneurs spoke about their failures, successes and the hardships which they faced in their entrepreneurship Journey. The panel discussion was moderated by Subhrangshu Sanyal, CEO of IIMCIP. The Third session called – Innovation in Business – had 2 speakers Koushik Nath, VP of CISCO systems engineering and Rajesh Singhal from Brand Capital. This was followed by “The Grill” where 10 entrepreneurs from the local region pitched their startup ideas to a panel of Investors comprising of representatives from – IvyCap Ventures, Unitus Seed Fund, Calcutta Angels and Brand Capital. We also had an “Idea Village” where innovative start-ups showcased and promoted their products and services in exhibition stalls. University of Engineering and Management, MCKV Institute of Engineering, Swami Vivekananda group of Institutes and Egiye Bangla teams showcased their products. The evening closed with the announcement of the top 10 teams of Ideas to Implementation and lighting of lantern by the audience.